Lohit Nights Compilation series will once again be adorned by Lohit Chief and internationally acclaimed electronic music splendid Kash Trivedi. The compilation boasts of a brand new track %%u201CElements%%u201D along with 30 super hot and scorching electronic anthems handpicked by none other than, the Lohit Label Boss, Kash Trivedi. 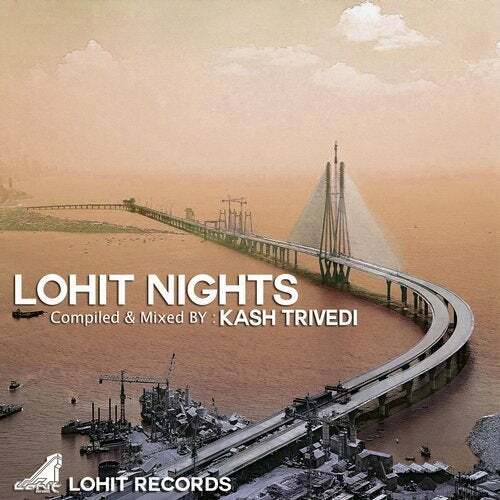 %%u2018Lohit Nights %%u2013 Mixed and Compiled by Kash Trivedi%%u2019 brings together some of the best producers from the industry under one release to ensure that its listeners get a fresh kick from this ultimate house music journey. Already known among music lovers for his signature remix style and his intuitive production skills, Kash Trivedi is currently a highly sought after name across the globe. He has amassed DJ support from the likes of Above and Beyond, Paul Oakenfold, Mark Knight, Paul Van Dyke, Judge Jules and many more as well as cut collaborations with Paul Thomas and Steve Haines. Kash Trivedi is a regular performer at world class festivals like Sunburn and equivalent. His releases have featured in some of the biggest labels of the dance music industry including Juicy Music, Magik Music, Iboga Tiger, Nervous and 405 recordings. There is no denying that this man %%u2013 Kash Trivedi, is scaling new heights in his selected choice of music genre. The compilation features some of the best tracks that have come out this year, both remixes and originals, from artistes like Paul Thomas, Sebastian Krieg, Ticon, Lissat and Voltaxx, Max Freegrant and Stan Kolev, Matan Caspi, Dinka, Michael and Levan. The entire compilation is laced with Kash%%u2019s trademark technical excellence and remarkable mixing skills. The compilation brings together some great music come alive in your sound system. The compilation, packed with 30 of the biggest tracks alongside a full length continuous DJ mix, is a brand new edition to the Lohit Nights Catalogue. %%u2018Lohit Nights %%u2013 Mixed and Compiled by Kash Trivedi%%u2019 promise swingy grooves, rolling basslines and unique cuts. The release is set to capture the attention and imagination of the DJ%%u2019s and Producers all across. Highly Recommended. You do not want to miss out on this one!